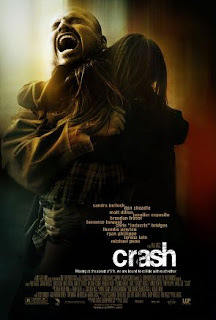 "Crash" is about nineteen characters who 'collided' with each other in this 2005 Oscars Best Picture awardee dealing with racial and social tension. Anger is a normal human reaction when we feel we are being attacked or hurt; and although we cannot control the behavior of other people, nevertheless, we can control our reaction towards them. In the movie, "Crash", there were two characters who were victims of prejudice and unkind treatment on account of their race: Farhad, a Persion store owner; and Daniel Ruiz, a Mexican-American locksmith. Both were subjected to discrimination as a result of racial stereotyping. However, even though both encountered the same experience, how they reacted to their situation were in contrast with each other. Farhad was continually harrassed by people who thought that Persians were Arabs, and, therefore, terrorists. As a result, he became frustrated, bitter, easily provoked, suspicious and defensive. He also became unkind and developed prejudices against other people. Moreover, he had a perception that he was always being cheated. Thus, when Daniel informed him that he needed to change the door to his store, he overreacted and angrily accused Daniel of being a cheat. Later, enraged by the racially -motivated destruction of his store, he vented his anger towards Daniel and blamed him for his unfortunate experience. In contrast with Farhad, Daniel demonstrated a more positive attitude. He always kept his anger and frustrations under control and did not retaliate even when he was being treated unkindly by people. We may treat people with honesty, kindness and respect; yet, we cannot always expect the same treatment from them. We do not have control over other people's actions and reactions; however, we have control over our own. Therefore, like Daniel, we can choose to act with magnanimity and, thereby, counteract a negative with a positive; or conversely, we may react negatively, as Farhad did. It takes great faith to be kind to people who do not deserve it. However, we are serving a God of love, and have been taught to "love our neighbors as we love ourselves." Therfore, by example, we should try to teach unkind persons a lesson by treating them better than how they treat us. Basically, man is good. 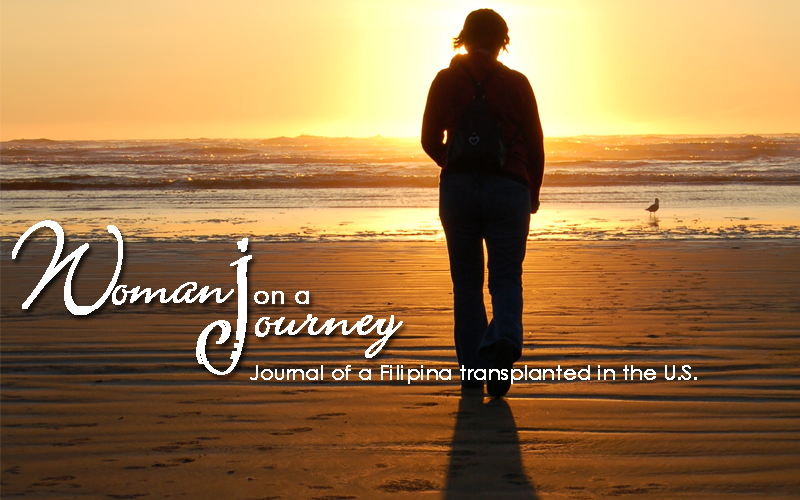 Oftentimes, a change in a person's character occurs because of the circumstances and environment he is exposed to. However, no matter how bad a person is, there is still some goodness left in him. I saw this in the characters of Jean Cabot, the District Attorney's wife who was very vocal about her prejudice towards people of color; Officer Ryan, the bigoted white police officer who sexually harrassed an Afro-American woman; and Anthony, the Afro-American car thief, who believed that society was unfairly biased against blacks but actually demonstrated the kind of stereotype that he was complaining about. In the first part of the movie, these three characters exhibited less favorable characteristics, which made them unlikable. Jean Cabot and Officer Ryan were especially easy to detest because they were blatantly prejudiced and very unkind towards colored people. Anthony was a person filled with issues as a result of the treatment he and his race received from people like Jean and Officer Ryan. However, towards the end of the movie, these three characters exhibited redeeming qualities. They turned out to be persons with good hearts, restoring the viewer's faith in humanity. Jean Cabot later realized that in spite of her unkind treatment towards her Hispanic maid, she was the person who was most kind and helpful to her. The viewers later discovered that Jean was basically an unhappy person brought about by the pressures of her lifestyle. Her so-called friends were not really true friends, and her husband was very busy with his career and did not have enough time for her. Officer Ryan, whom everybody loved to hate, did something heroic. He placed his own life at risk when he saved the same woman whom he had earlier sexually harrassed. The viewers found out that Officer Ryan was prejudiced against Afro-Americans because of a past experience involving his father. Anthony, who appeared to be a scammer, showed in the end, that he valued life and freedom more than money when he liberated a group of Asians who were being sold as slaves. The moral of the story: we should always treat people with kindness, no matter what they are, and under any circumstance; for our positive action will most likely result in a positive reaction. Oftentimes, the most unlovable persons in the world are the ones who need the most love and understanding. Prejudices and discrimination sow fear and hatred among people; but if we learn to treat each other with kindness and respect, regardless of our color and creed, and try to understand our uniqueness, there would be less room for prejudice and hatred.